Black oxide coating for longer life on replacement drill bits with countersinks; split point drill bits start on contact and minimizes bit walk. Carbide spear point with sharpened edges for in applications such as glass, mirror and ceramic Cuts perfectly round holes without chipping or breaking the material. All sizes 3/16" and larger have 3 flats on the shank for a better grip on the drill chuck. Carbide spear point with sharpened edges for in applications such as glass, mirror and ceramic Cuts perfectly round holes without chipping or breaking the material. All sizes 3/16" and larger have 3 flats on the shank for a better grip on the drill chuck. Carbide spear point with sharpened edges for in applications such as glass, mirror and ceramic Cuts perfectly round holes without chipping or breaking the material. All sizes 3/16" and larger have 3 flats on the shank for a better grip on the drill chuck. Cutting spurs have three cutting edges for added durability, full screw tip allows bit to self feed, tri-flute design for faster chip ejection, grooved hex shank prevents slipping, fits all standard 1/4" quick change chucks. Tapered drill with widened flutes for drilling fast, clean pilot holes. 1/4" quick change shank reduces slipping in standard chucks and is compatible with all 1/4" quick change chucks, including impact drills. Adjustable four-cutter counterbore cuts and clears chips quicker for fast, smooth countersinking. Counter bore attaches to flats on shank with two hex screws for a secure fit and can be adjusted for controlled pilot hole depth. For fast, easy driving of nuts, bolts and hex head screws. Rugged single-piece construction provides long life under constant use. The precision formed tip ensures a proper fit. Includes (1) one each: 3/16", 1/4", 9/32", 5/16", 11/32", 3/8", 7/16" sockets; 2" socket adapter. Universal 1/4" hex shank with power groove. Bosch Glass and Tile Bit, 4-Piece, Precision Ground, Series: GT Series, 1/8 in Diameter, 2 in Overall Length, 1/8 in Shank, 3 Flat Shank, Tungsten Carbide Cutting Edge, For Relief Holes for Glass Cutting, Bathroom/Shower Installs, Towel/Shower, Rods and Soap Dishes, Drilling and Fastening Mirrors and Setting Concrete Screws-In Tile Tri-Flute design for faster chip ejection, cutting spurs have three cutting edges for added durability, full screw tip allows bit to self feed. Grooved hex shank prevents slipping in drill chuck or bit extension; fits all standard 1/4" quick change chucks. Cutting spurs have three cutting edges for added durability, full screw tip allows bit to self feed, tri-flute design for faster chip ejection, grooved hex shank prevents slipping, fits all standard 1/4" quick change chucks. Bosch Nutsetter Bit Set, Magnetic, Series: Impact Tough, 3 Pieces, Includes: 1/4 in, 5/16 in and 3/8 in Point Bits, Black Oxide, 1-5/8 - 1-7/8 in Length, 1/4 in Hexagonal Shank Tapered drill with widened flutes for drilling fast, clean pilot holes. 1/4" quick change shank reduces slipping in standard chucks and is compatible with all 1/4" quick change chucks, including impact drills. Adjustable four-cutter counterbore cuts and clears chips quicker for fast, smooth countersinking. Counter bore attaches to flats on shank with two hex screws for a secure fit and can be adjusted for controlled pilot hole depth. Carbide spear point with sharpened edges for in applications such as glass, mirror and ceramic Cuts perfectly round holes without chipping or breaking the material. All sizes 3/16" and larger have 3 flats on the shank for a better grip on the drill chuck. Coated flutes for fast chip removal. Double wing spurs for clean hole cutting. 1/4" power groove shank fits all 1/4" extensions. Tapered drill with widened flutes for drilling fast, clean pilot holes. 1/4" quick change shank reduces slipping in standard chucks and is compatible with all 1/4" quick change chucks, including impact drills. Adjustable four-cutter counterbore cuts and clears chips quicker for fast, smooth countersinking. Counter bore attaches to flats on shank with two hex screws for a secure fit and can be adjusted for controlled pilot hole depth. Tri-Flute design for faster chip ejection, cutting spurs have three cutting edges for added durability, full screw tip allows bit to self feed. Grooved hex shank prevents slipping in drill chuck or bit extension; fits all standard 1/4" quick change chucks. Smooth drilling in glass, tile, mirrors, and ceramics. Ideal for use when fastening items to tile. Easily resharpened. For all 3/8" or larger drills. Drill, countersink and counterbore in one step. Four-cutter countersink and tapered drill bit provide speed and finish. Extra strength magnets for strong bit retention. Heat treated to resist breakage and wear. Shock resistant tool steel for maximum durability. Includes (1) one each: 1/4", 5/16" and 3/8", Cutting spurs have three cutting edges for added durability, full screw tip allows bit to self feed, tri-flute design for faster chip ejection, grooved hex shank prevents slipping, fits all standard 1/4" quick change chucks. Tri-Flute design for faster chip ejection, cutting spurs have three cutting edges for added durability, full screw tip allows bit to self feed. Grooved hex shank prevents slipping in drill chuck or bit extension; fits all standard 1/4" quick change chucks. Carbide tipped for long life with spear pointed tip that reduces breakouts when drilling from 1 side. Provides smooth, accurate drilling in applications such as ceramic tile, mirrors, glass, marble tile, vitrolite and china. Smooth drilling in glass, tile, mirrors, and ceramics. Ideal for use when fastening items to tile. Easily resharpened. For all 3/8" or larger drills. Drill, countersink and counterbore in one step. Four-cutter countersink and tapered drill bit provide speed and finish. Carbide tipped for long life with spear pointed tip that reduces breakouts when drilling from 1 side. Provides smooth, accurate drilling in applications such as ceramic tile, mirrors, glass, marble tile, vitrolite and china. Smooth drilling in glass, tile, mirrors, and ceramics. Ideal for use when fastening items to tile. Easily resharpened. For all 3/8" or larger drills. One-bit construction gives you the extra reach you need without screw extensions. Sharp cutting edge promotes easy wood boring, faster chip removal and reduced vibration. Double wing spurs allow for fast, clean hole cutting. Versatile 1/4" Quick change hex shank can be used in all universal Quik-Lok extensions. Tri-Flute design for faster chip ejection, cutting spurs have three cutting edges for added durability, full screw tip allows bit to self feed. Grooved hex shank prevents slipping in drill chuck or bit extension; fits all standard 1/4" quick change chucks. Coated flutes for fast chip removal. Double wing spurs for clean hole cutting. 1/4" power groove shank fits all 1/4" extensions. Blue groove point and cutting edge for faster chip removal, double cutting spurs scribe the outside of the hole reducing breakout. Grooved hex shank prevents slipping in drill chuck or bit extension and fits all standard quick change chucks. Drill, countersink and counterbore in one step. Four-cutter countersink and tapered drill bit provide speed and finish. One-bit construction gives you the extra reach you need without screw extensions. Sharp cutting edge promotes easy wood boring, faster chip removal and reduced vibration. Double wing spurs allow for fast, clean hole cutting. Versatile 1/4" Quick change hex shank can be used in all universal Quik-Lok extensions. Cutting spurs have three cutting edges for added durability, full screw tip allows bit to self feed, tri-flute design for faster chip ejection, grooved hex shank prevents slipping, fits all standard 1/4" quick change chucks. Precision ground spade bit points drill clean holes in applications such as wood or composition board. Heavy duty hex shank prevents slipping and fits all 1/4" quick change systems; hole for bit storage and wire pulling. Blue groove point and cutting edge for faster chip removal, double cutting spurs scribe the outside of the hole reducing breakout. Grooved hex shank prevents slipping in drill chuck or bit extension and fits all standard quick change chucks. Drill, countersink and counterbore in one step. Four-cutter countersink and tapered drill bit provide speed and finish. Provides convenient pick-up and retention of hex fasteners. Lobular design drives along flats to reduce rounding of hex fasteners. Flat edges at hex opening for full contact with flanged hex head screws. Performance-optimized S2 steel construction for extended life. Calibrated heat treating process for added durability. Manganese phosphate surface for advanced corrosion resistance. Ideal for driving hex head nuts and self-tapping screws in a wide variety of applications. For use with high torque impact drivers and driver-drills. Full cone threaded tip provides the speed needed to drill faster by pulling the bit through the material with Features a full cone threaded tip for fast drilling, contoured paddle for fast chip removal, hex shank power groove to reduce slippage and spur and reamer tips for cleaner holes. Use in applications such as drilling in hardwoods, composites, treated lumber, railroad ties and other wood products. Coated flutes for fast chip removal. Double wing spurs for clean hole cutting. 1/4" power groove shank fits all 1/4" extensions. One-bit construction gives you the extra reach you need without screw extensions. Sharp cutting edge promotes easy wood boring, faster chip removal and reduced vibration. Double wing spurs allow for fast, clean hole cutting. Versatile 1/4" Quick change hex shank can be used in all universal Quik-Lok extensions. Blue groove point and cutting edge for faster chip removal, double cutting spurs scribe the outside of the hole reducing breakout. Grooved hex shank prevents slipping in drill chuck or bit extension and fits all standard quick change chucks. Lobular design reduces stripping damage by driving the fastener on the side instead of forcing the corners to turn. For use sheet metal screws and other hexagonal head fasteners. Provides more clearance on the corners of the fastener where paint build-up can occur. Set includes 3 Magnetic Nutsetters (94812, 94832 and 94852). Sizes: 1/4", 5/16" and 3/8". Lobular design reduces stripping damage by driving the fastener on the sides instead of forcing the corners to turn. For use with sheet metal screws and other hexagonal head fasteners; 1/4" hex shank. Includes 1 each: 1/4", 5/16" and 3/8". Drill, countersink and counterbore in one step. Four-cutter countersink and tapered drill bit provide speed and finish. 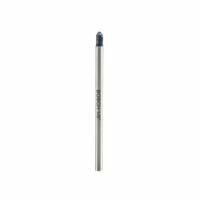 Steel and heat treat process for maximum strength, durability with a strong magnetic tip for a secure grip. Color coded band for easy size identification and chamfered edge for fastening in tight spaces. Includes (1) each: 1/4", 5/16" and 3/8". One-bit construction gives you the extra reach you need without screw extensions. Sharp cutting edge promotes easy wood boring, faster chip removal and reduced vibration. Double wing spurs allow for fast, clean hole cutting. Versatile 1/4" Quick change hex shank can be used in all universal Quik-Lok extensions. Full cone threaded tip provides the speed needed to drill faster by pulling the bit through the material with Features a full cone threaded tip for fast drilling, contoured paddle for fast chip removal, hex shank power groove to reduce slippage and spur and reamer tips for cleaner holes. Use in applications such as drilling in hardwoods, composites, treated lumber, railroad ties and other wood products. Full length heat treated bit with wide lands keep the bit straight as it bores through the hole. The flutes are ground behind the lands to funnel chips to the inside of the bit and away from the outside diameter. Single spur cutting edge scribes the circumference of the hole; coarse screw point provides fast boring in hard and soft woods. All bits have a 4-1/2" twist length and a 7-1/2" overall length. Full length heat treated bit with wide lands keep the bit straight as it bores through the hole. The flutes are ground behind the lands to funnel chips to the inside of the bit and away from the outside diameter. Single spur cutting edge scribes the circumference of the hole; coarse screw point provides fast boring in hard and soft woods. All bits have a 4-1/2" twist length and a 7-1/2" overall length. Carbide tipped for long life with spear pointed tip that reduces breakouts when drilling from 1 side. Provides smooth, accurate drilling in applications such as ceramic tile, mirrors, glass, marble tile, vitrolite and china. Blue groove point and cutting edge for faster chip removal, double cutting spurs scribe the outside of the hole reducing breakout. Grooved hex shank prevents slipping in drill chuck or bit extension and fits all standard quick change chucks. Cutting spurs have three cutting edges for added durability, full screw tip allows bit to self feed, tri-flute design for faster chip ejection, grooved hex shank prevents slipping, fits all standard 1/4" quick change chucks. One-bit construction gives you the extra reach you need without screw extensions. Sharp cutting edge promotes easy wood boring, faster chip removal and reduced vibration. Double wing spurs allow for fast, clean hole cutting. Versatile 1/4" Quick change hex shank can be used in all universal Quik-Lok extensions. Tapered drill with widened flutes for drilling fast, clean pilot holes. 1/4" quick change shank reduces slipping in standard chucks and is compatible with all 1/4" quick change chucks, including impact drills. Adjustable four-cutter counterbore cuts and clears chips quicker for fast, smooth countersinking. Counter bore attaches to flats on shank with two hex screws for a secure fit and can be adjusted for controlled pilot hole depth. Full cone threaded tip provides the speed needed to drill faster by pulling the bit through the material with Features a full cone threaded tip for fast drilling, contoured paddle for fast chip removal, hex shank power groove to reduce slippage and spur and reamer tips for cleaner holes. Use in applications such as drilling in hardwoods, composites, treated lumber, railroad ties and other wood products. Full length heat treated bit with wide lands keep the bit straight as it bores through the hole. The flutes are ground behind the lands to funnel chips to the inside of the bit and away from the outside diameter. Single spur cutting edge scribes the circumference of the hole; coarse screw point provides fast boring in hard and soft woods. All bits have a 4-1/2" twist length and a 7-1/2" overall length. Carbide tipped for long life with spear pointed tip that reduces breakouts when drilling from 1 side. Provides smooth, accurate drilling in applications such as ceramic tile, mirrors, glass, marble tile, vitrolite and china. Tapered drill with widened flutes for drilling fast, clean pilot holes. 1/4" quick change shank reduces slipping in standard chucks and is compatible with all 1/4" quick change chucks, including impact drills. Adjustable four-cutter counterbore cuts and clears chips quicker for fast, smooth countersinking. Counter bore attaches to flats on shank with two hex screws for a secure fit and can be adjusted for controlled pilot hole depth. Precision ground spade bit points drill clean holes in applications such as wood or composition board. Heavy duty hex shank prevents slipping and fits all 1/4" quick change systems; hole for bit storage and wire pulling. One-bit construction gives you the extra reach you need without screw extensions. Sharp cutting edge promotes easy wood boring, faster chip removal and reduced vibration. Double wing spurs allow for fast, clean hole cutting. Versatile 1/4" Quick change hex shank can be used in all universal Quik-Lok extensions. Coated flutes for fast chip removal. Double wing spurs for clean hole cutting. 1/4" power groove shank fits all 1/4" extensions. Carbide tipped for long life with spear pointed tip that reduces breakouts when drilling from 1 side. Provides smooth, accurate drilling in applications such as ceramic tile, mirrors, glass, marble tile, vitrolite and china. Blue groove point and cutting edge for faster chip removal, double cutting spurs scribe the outside of the hole reducing breakout. Grooved hex shank prevents slipping in drill chuck or bit extension and fits all standard quick change chucks. Full length heat treated bit with wide lands keep the bit straight as it bores through the hole. The flutes are ground behind the lands to funnel chips to the inside of the bit and away from the outside diameter. Single spur cutting edge scribes the circumference of the hole; coarse screw point provides fast boring in hard and soft woods. All bits have a 4-1/2" twist length and a 7-1/2" overall length. Tapered drill with widened flutes for drilling fast, clean pilot holes. 1/4" quick change shank reduces slipping in standard chucks and is compatible with all 1/4" quick change chucks, including impact drills. Adjustable four-cutter counterbore cuts and clears chips quicker for fast, smooth countersinking. Counter bore attaches to flats on shank with two hex screws for a secure fit and can be adjusted for controlled pilot hole depth. Set includes (1) 1/4", (1) 5/16" and (1) 3/8" nutsetter. For use with a power drill. Set includes (1) of each: 7/16'', 3/8'', 5/16'' and 1/4'' nut driver. Full cone threaded tip provides the speed needed to drill faster by pulling the bit through the material with Features a full cone threaded tip for fast drilling, contoured paddle for fast chip removal, hex shank power groove to reduce slippage and spur and reamer tips for cleaner holes. Use in applications such as drilling in hardwoods, composites, treated lumber, railroad ties and other wood products. New inductive hardening process for higher quality. Chisel offers higher wear resistance and longer life. Chisel design disperses energy of each impact. Tapered drill with widened flutes for drilling fast, clean pilot holes. 1/4" quick change shank reduces slipping in standard chucks and is compatible with all 1/4" quick change chucks, including impact drills. Adjustable four-cutter counterbore cuts and clears chips quicker for fast, smooth countersinking. Counter bore attaches to flats on shank with two hex screws for a secure fit and can be adjusted for controlled pilot hole depth. Smooth drilling in glass, tile, mirrors, and ceramics. Ideal for use when fastening items to tile. Easily resharpened. For all 3/8" or larger drills. Blue groove point and cutting edge for faster chip removal, double cutting spurs scribe the outside of the hole reducing breakout. Grooved hex shank prevents slipping in drill chuck or bit extension and fits all standard quick change chucks. Precision ground spade bit points drill clean holes in applications such as wood or composition board. Heavy duty hex shank prevents slipping and fits all 1/4" quick change systems; hole for bit storage and wire pulling. Cutting spurs have three cutting edges for added durability, full screw tip allows bit to self feed, tri-flute design for faster chip ejection, grooved hex shank prevents slipping, fits all standard 1/4" quick change chucks. Tapered drill with widened flutes for drilling fast, clean pilot holes. 1/4" quick change shank reduces slipping in standard chucks and is compatible with all 1/4" quick change chucks, including impact drills. Adjustable four-cutter counterbore cuts and clears chips quicker for fast, smooth countersinking. Counter bore attaches to flats on shank with two hex screws for a secure fit and can be adjusted for controlled pilot hole depth. Full cone threaded tip provides the speed needed to drill faster by pulling the bit through the material with Features a full cone threaded tip for fast drilling, contoured paddle for fast chip removal, hex shank power groove to reduce slippage and spur and reamer tips for cleaner holes. Use in applications such as drilling in hardwoods, composites, treated lumber, railroad ties and other wood products. Use with high torque impact drivers and driver-drills. Retention ball for secure fit to the socket. Chamfered edges at square drive end for easy fit into socket. Performance-optimized S2 steel construction for extended life. Includes: ImpactX 3 Pc. 2" Socket Adapter set. Precision ground spade bit points drill clean holes in applications such as wood or composition board. Heavy duty hex shank prevents slipping and fits all 1/4" quick change systems; hole for bit storage and wire pulling. Precision ground 82 degree tip for countersinking most machinable metals, wood or plastic. High speed steel with black oxide coating for corrosion resistance. 5 flute design reduces chatter for smoother drilling and extended life. Made of high quality S2 tool steel; 1/4" hex shank. Includes (1) one each: 1/4", 5/16", 3/8" and 7/16". Coated flutes for fast chip removal. Double wing spurs for clean hole cutting. 1/4" power groove shank fits all 1/4" extensions. Full cone threaded tip provides the speed needed to drill faster by pulling the bit through the material with Features a full cone threaded tip for fast drilling, contoured paddle for fast chip removal, hex shank power groove to reduce slippage and spur and reamer tips for cleaner holes. Use in applications such as drilling in hardwoods, composites, treated lumber, railroad ties and other wood products. Full length heat treated bit with wide lands keep the bit straight as it bores through the hole. The flutes are ground behind the lands to funnel chips to the inside of the bit and away from the outside diameter. Single spur cutting edge scribes the circumference of the hole; coarse screw point provides fast boring in hard and soft woods. All bits have a 4-1/2" twist length and a 7-1/2" overall length. Cutting spurs have three cutting edges for added durability, full screw tip allows bit to self feed, tri-flute design for faster chip ejection, grooved hex shank prevents slipping, fits all standard 1/4" quick change chucks. Full length heat treated bit with wide lands keep the bit straight as it bores through the hole. The flutes are ground behind the lands to funnel chips to the inside of the bit and away from the outside diameter. Single spur cutting edge scribes the circumference of the hole; coarse screw point provides fast boring in hard and soft woods. All bits have a 4-1/2" twist length and a 7-1/2" overall length. Precision ground spade bit points drill clean holes in applications such as wood or composition board. Heavy duty hex shank prevents slipping and fits all 1/4" quick change systems; hole for bit storage and wire pulling. High speed steel milled and precision ground to 82 degrees for countersinking into most machinable materials such as iron, steel, soft metals, plastic or wood. Fully hardened steel body for increased life and durability; used for breaking to a straight line as in removing a section of sidewalk. 3/4" width. Weight .570 lbs. Hardened core reduces breakage; for use in masonry applications. Fits all brands of SDS plus rotary hammers. Full length heat treated bit with wide lands keep the bit straight as it bores through the hole. The flutes are ground behind the lands to funnel chips to the inside of the bit and away from the outside diameter. Single spur cutting edge scribes the circumference of the hole; coarse screw point provides fast boring in hard and soft woods. All bits have a 4-1/2" twist length and a 7-1/2" overall length. Fits Bosch SDS-max hammer and competitive SDS-max drive hammers for use in masonry/concrete drilling. Faster demolition which increases overall jobsite productivity in applications such as masonry/concrete drilling. Fits Bosch SDS-max hammer and other SDS-max drive hammers also fits Hilti hammers using TE-Y and TE-EY shanks; 1" width. Full length heat treated bit with wide lands keep the bit straight as it bores through the hole. The flutes are ground behind the lands to funnel chips to the inside of the bit and away from the outside diameter. Single spur cutting edge scribes the circumference of the hole; coarse screw point provides fast boring in hard and soft woods. All bits have a 4-1/2" twist length and a 7-1/2" overall length. Used for smooth and fast cuts when countersinking and counterboring in wood, plastic and composition board applications. Replaceable drill bit. Fits #6, #8, #10 and #12 wood screws. Carbide tipped for long life with spear pointed tip that reduces breakouts when drilling from 1 side. Provides smooth, accurate drilling in applications such as ceramic tile, mirrors, glass, marble tile, vitrolite and china. Set includes (1) 1/4", (1) 5/16", (1) 3/8" and (1) 7/16" nutsetter. Smooth drilling in glass, tile, mirrors, and ceramics. Ideal for use when fastening items to tile. Easily resharpened. For all 3/8" or larger drills. For concrete and masonry demolition. Proprietary heat treat process. 10" long with 3/4" hex shank. High speed steel milled and precision ground to 82 degrees for countersinking into most machinable materials such as iron, steel, soft metals, plastic or wood. Proprietary steel and heat treat process for maximum strength, durability with a strong magnetic tip for secure grip. Color coded band for easy size identification and chamfered edge for fastening in tight spaces. Set includes (1) each of Diameter 1/4", 5/16", 3/8", 7/16", all 4 pieces are 1-7/8" long. Specially shaped for prying and removing tiles in one piece. Removes tiles at a faster rate with less effort. Flat spade design creates a self-sharpening edge, eliminating downtime. Ideal for smaller grout joints. Designed exclusively for high-torque Impact Drivers. Ideal for use with impact drivers, impact wrenches, and ratchets. Black oxide coated to resist corrosion for longer socket life. Includes flexible boot for convenient storage of both the sockets and adapter. Includes: 8 pc. Impact Socket set. High speed steel milled and precision ground to 82 degrees for countersinking into most machinable materials such as iron, steel, soft metals, plastic or wood. Designed for concrete material removal. For use in chipping hammers and rotary hammers with stop rotation. Sharp point for maximum impact. Chisel offers longer life and more material removal for faster work rate. Carbide spear point with sharpened edges for in applications such as glass, mirror and ceramic Cuts perfectly round holes without chipping or breaking the material. All sizes 3/16" and larger have 3 flats on the shank for a better grip on the drill chuck. Set includes: 1/8", 3/16", 1/4" and 5/16" drills. Product designed for use in impact drivers and wrenches. Recessed corners drives on flats which minimizes shavings. Industrial strength magnet maximizes fastener retention. Includes: 1/4", 3/8" and 5/16" nut driver. SAE type. Magnesium Phosphate finish. Product designed for use in impact drivers. Recessed corners drives on flats which minimizes shavings. Industrial strength magnet maximizes fastener retention. Includes 1/4", 5/16" and 3/8" Nutsetters. Tri-Flute design for faster chip ejection; cutting spurs have 3 cutting edges for added durability. Full screw tip allows bit to self feed. Grooved hex shank prevents slipping in drill chuck. Fits all standard 1/4" quick change chucks. Includes (1) each: 5/8", 3/4", 1" and case. Designed for use with Milwaukee Shockwave magnetic bit tip holders. Strong magnetic tip for secure grip. Color coded band for easy identification. Made from proprietary steel and heat treated to control hardness. Chamfered edge to allow for fastening in tight spaces. 1-1/2" length. Set includes Insert magnetic nut driver sizes: 1/4", 5/16", 3/8", 7/16" and 1/2". Used for smooth and fast cuts when countersinking and counterboring in wood, plastic and composition board applications. Fits all corded and cordless screwdrivers, drills and screwguns; 1/4" hex shank, replaceable drill bit. Fits #6, #8, #10 and #12 wood screws. For rotary drilling only. 5/32 pilot bit must be used first. Ideal for drilling porcelain tiles up to a scratch hardness of 8. The drill bit will not walk, tape or center punching is no longer needed. Flat bottom parabolic flute ensures fast and efficient removal of drill dust and prevents clogging. Cuts nice, clean holes with very little or no chipping; Operate drill motor 400-600 RPM. Faster demolition which increases overall jobsite productivity in applications such as masonry/concrete drilling. Fits Bosch SDS-max hammer and other SDS-max drive hammers also fits Hilti hammers using TE-Y and TE-EY shanks; 1" width. Smooth drilling in glass, tile, mirrors, and ceramics. Ideal for use when fastening items to tile. Easily resharpened. For all 3/8" or larger drills. For rotary drilling only. 5/32 pilot bit must be used first. Ideal for drilling porcelain tiles up to a scratch hardness of 8. The drill bit will not walk, tape or center punching is no longer needed. Flat bottom parabolic flute ensures fast and efficient removal of drill dust and prevents clogging. Cuts nice, clean holes with very little or no chipping; Operate drill motor 400-600 RPM. Used for general chipping work in applications such as masonry/concrete drilling; fits competitive spline drive hammers and round hex hammers; 1" wide with 3/4" hex. Construction carbide teeth for longer life. Face ground carbide teeth for fast, clean cuts. Fully hardened plate runs truer longer. Reinforced shoulder for added durability. Thin kerf for circular and miter saws. Designed for faster, cleaner cutting. Durable, machine welded carbide tips. Anti-kick back safety feature. C45, 20 degree hook angle, 6,500 RPM. Full length heat treated bit with wide lands keep the bit straight as it bores through the hole. The flutes are ground behind the lands to funnel chips to the inside of the bit and away from the outside diameter. Single spur cutting edge scribes the circumference of the hole; coarse screw point provides fast boring in hard and soft woods. All bits have a 4-1/2" twist length and a 7-1/2" overall length. Hardened alloy steel for bit life, self feed spur for fast material penetration, dual cutting edge for maximum durability in nails with a ball groove shank allows for quick bit changes. Used in applications such as masonry/concrete drilling; fits Bosch SDS-max hammer ,Hilti hammers using TE-Y and TE-EY shanks and other SDS-max drive hammers; 12" long. Pivoting nut drivers which have a hardening process that provides maximum durability. Magnet is extra strength for superior bit retention. Includes (1) each: 1/4", 5/16", 3/8", 7/16" nut drivers For rotary drilling only. 5/32 pilot bit must be used first. Ideal for drilling porcelain tiles up to a scratch hardness of 8. The drill bit will not walk, tape or center punching is no longer needed. Flat bottom parabolic flute ensures fast and efficient removal of drill dust and prevents clogging. Cuts nice, clean holes with very little or no chipping; Operate drill motor 400-600 RPM. Hardened alloy steel for bit life, self feed spur for fast material penetration, dual cutting edge for maximum durability in nails with a ball groove shank allows for quick bit changes. Thin kerf blade for circular and miter saws. Designed for smooth fast cuts. Durable, machine welded carbide tips. Anti-kick back safety feature. C45, 20 degree hook angle, 6,500 RPM. Used in applications such as chipping or chiseling tough materials, made of hardened steel for long life and job endurance; 1-1/2" chisel tip with slotted drive shaft (SDS) hammers. Hardened alloy steel for bit life, self feed spur for fast material penetration, dual cutting edge for maximum durability in nails with a ball groove shank allows for quick bit changes. Wide flutes with a harder cutting edge that is welded to the base material; Quick Change impact shank Thin kerf saw blades are for use with miter saw and table saws. Fast ripping table saw blade cuts in natural wood, plywood and wood composites. Alternate top bevel, +15 degree hook angle, .097" kerf. Thin kerf saw blade for circular saws and table saws. Designed to cut all wood materials faster and more cleanly than steel blades. Alternate top bevel, .070" plate, .120" kerf, 10 degree hook angle. Wide flutes with a harder cutting edge that is welded to the base material; Quick Change impact shank 6-1/2" speed feed wood bit set. Coated flutes for fast chip removal. Double wing spurs for clean hole cutting. 1/4" power groove shank fits all 1/4" extensions. Set includes: (1) 1" spur auger bit, (1) 1/2" spur auger bit, (1) 3/4" spur auger bit and (1) 5/8" spur auger bit. Thin kerf saw blade for miter saws and table saws. No. 400 grit diamond ground teeth. Alternate top bevel, 1.6mm plate, .095" kerf, 20 degree hook angle, 5,900 max RPM. Hardened alloy steel for bit life, self feed spur for fast material penetration, dual cutting edge for maximum durability in nails with a ball groove shank allows for quick bit changes. Precision ground 82 degree tip for countersinking most machinable metals, wood or plastic. High speed steel with black oxide coating for corrosion resistance. 5 flute design reduces chatter for smoother drilling and extended life. 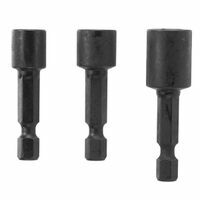 Set includes: (1) 1/2", (1) 5/8" and (1) 3/4" countersink. Designed to be easy in wood and tough against nail hits. A unique double cutter and reamer edge provide improved hole quality. A reinforced spine delivers additional strength during aggressive drilling. Wider flutes engineered for better chip removal. Drills through up to 2 times the nails of competitive auger bits without needing re-sharpening. Drill into clean or nail embedded wood with confidence when installing Romex wire, Pex water lines, rebar, bolts and rope in piers, playground equipment and landscaping. The flutes are wider for maximum chip removal, even in deep holes. The polished and coated flute finish means chips won't stick to the bit, even when drilling in material that contains sap or glue. Durable hardened, one-face 20? rake angle design enhances nail resistance, chip removal and fast, easy sharpening. Fast chip removal: non-stick, polished and coated flutes eliminate costly cleaning time. Impact-rated shank is strong enough to use with an impact wrench. Used in applications such as scraping or removing tile from a concrete floor. Fits Bosch SDS-max hammer, other SDS-max drive hammers and Hilti hammers using TE-Y and TE-EY shanks; 2" wide. Hardened alloy steel for bit life, self feed spur for fast material penetration, dual cutting edge for maximum durability in nails with a ball groove shank allows for quick bit changes. Tri-flute design for faster chip ejection. Cutting spurs have 3 cutting edges for added durability. Full screw tip allows bit to self feed. Grooved hex shank prevents slipping in drill chuck or bit extension. Fits all standard 1/4" quick change chucks. Comes with a heavy-duty case. Used for general chipping work.External collar for use with standard pneumatic hammers; 1-1/8" hex collar. Internal lock for Bosch hammer 11304. Used in applications such as masonry/concrete drilling; fits Bosch SDS-max hammer ,Hilti hammers using TE-Y and TE-EY shanks and other SDS-max drive hammers; 12" long. Thin kerf saw blade for miter saw and portable tools. Designed for cutting oak, pine, plywood, pressure treated lumber and beams. Alternate top bevel, .071" plate, .098" kerf, 15 degree hook angle. Wide flutes with a harder cutting edge that is welded to the base material; Quick Change impact shank Construction grade carbide teeth for longer life with thin kerf for fast cuts; 400 grit diamond ground teeth for a smooth finish. Precision tensioned and balanced blade. Hardened alloy steel for bit life, self feed spur for fast material penetration, dual cutting edge for maximum durability in nails with a ball groove shank allows for quick bit changes. Two 60 degree cutting angles used in applications such as clean concrete, scale and rust. For all rotary and demolition hammers with spline or 21/32" round tool holder; 3" wide with 3/4" hex shank. 7/16" hex shank wood boring bits. 15" flute. Hardened alloy steel for bit life, self feed spur for fast material penetration, dual cutting edge for maximum durability in nails with a ball groove shank allows for quick bit changes. Thin kerf, .098", saw blade for portable tools. Durable MicroGrain Titanium Carbide for razor sharp cuts and long life. Laser cut stabilizer vents for reduced vibration and precise cuts. PermaShield permanent coating prevents gumming and corrosion. Used for rip/crosscut wood, chipboard, plywood or laminate. Alternate top bevel, .071" plate, 15 degree hook angle. For concrete and masonry demolition. Proprietary heat treat process. 10" long with 3/4" hex shank. Thin kerf, .095", saw blades are for use with miter saw and table saws. Computer balanced plate reduces vibration for improved accuracy and better finish. Used for all-purpose cutting in natural wood, plywood and wood composites. Alternate top bevel, +5 hook angle, plate .069". For general construction applications, including fast, efficient ripping and crosscutting. Cuts rough framing lumber, high quality finish lumber, plywood, OSB, and hardboard siding. .098" thin kerf design. 15-degree hook angle. 7,000 max RPM. Drills through up to 2 times the nails of competitive auger bits without needing re-sharpening. Drill into clean or nail embedded wood with confidence when installing Romex wire, Pex water lines, rebar, bolts and rope in piers, playground equipment and landscaping. The flutes are wider for maximum chip removal, even in deep holes. The polished and coated flute finish means chips won't stick to the bit, even when drilling in material that contains sap or glue. Durable hardened, one-face 20? rake angle design enhances nail resistance, chip removal and fast, easy sharpening. Fast chip removal: non-stick, polished and coated flutes eliminate costly cleaning time. Impact-rated shank is strong enough to use with an impact wrench. Used to start holes in concrete slabs; internal lock for Bosch hammer 11304, external collar for use with standard pneumatic hammers; 1-1/8" hex collar. Wide flutes with a harder cutting edge that is welded to the base material; Quick Change impact shank Thin kerf, .045", design cuts more efficiently. Carbide tipped saw blades cut faster and last longer than conventional carbide blades. Heat treated for longer life. Alternative tooth bevel, .071" plate, +15 degree hook angle. Hardened alloy steel for bit life, self feed spur for fast material penetration, dual cutting edge for maximum durability in nails with a ball groove shank allows for quick bit changes. Designed to be easy in wood and tough against nail hits. A unique double cutter and reamer edge provide improved hole quality. A reinforced spine delivers additional strength during aggressive drilling. Wider flutes engineered for better chip removal. Hardened alloy steel for bit life, self feed spur for fast material penetration, dual cutting edge for maximum durability in nails with a ball groove shank allows for quick bit changes. Drills through up to 2 times the nails of competitive auger bits without needing re-sharpening. Drill into clean or nail embedded wood with confidence when installing Romex wire, Pex water lines, rebar, bolts and rope in piers, playground equipment and landscaping. The flutes are wider for maximum chip removal, even in deep holes. The polished and coated flute finish means chips won't stick to the bit, even when drilling in material that contains sap or glue. Durable hardened, one-face 20? rake angle design enhances nail resistance, chip removal and fast, easy sharpening. Fast chip removal: non-stick, polished and coated flutes eliminate costly cleaning time. Impact-rated shank is strong enough to use with an impact wrench. Precision ground 82 degree tip for countersinking most machinable metals, wood or plastic. High speed steel with black oxide coating for corrosion resistance. 5 flute design reduces chatter for smoother drilling and extended life. Set includes: (1) 1/4", (1) 3/8", (1) 1/2", (1) 5/8" and (1) 3/4" countersink.